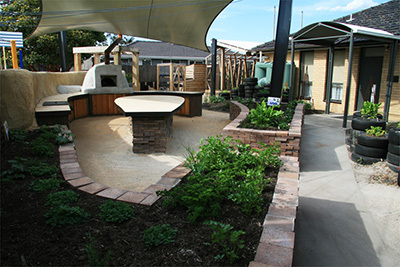 St Joseph’s Outdoor Kitchen has finished construction with students planting out the produce garden to celebrate. 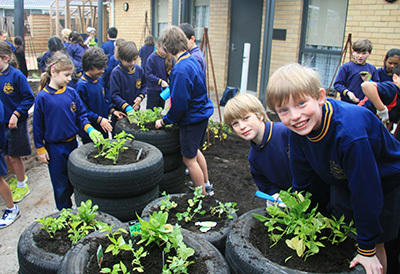 After the design of an open space master plan in 2012, the Outdoor kitchen, produce garden, bike storage area and permaculture orchard has been constructed to support curriculum centred around student involvement with natural materials, self-sufficiency and sustainable practices in the outdoor environment. 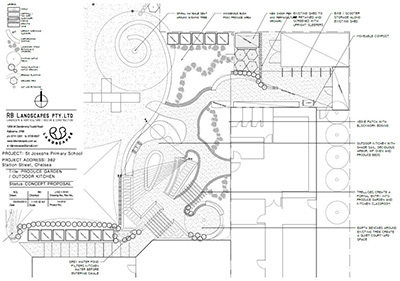 The Outdoor Kitchen creates a teaching space, veggie garden and permaculture orchard that can be used by the school to give the students the opportunity enhance their skills to cultivate, cook and create into the future. 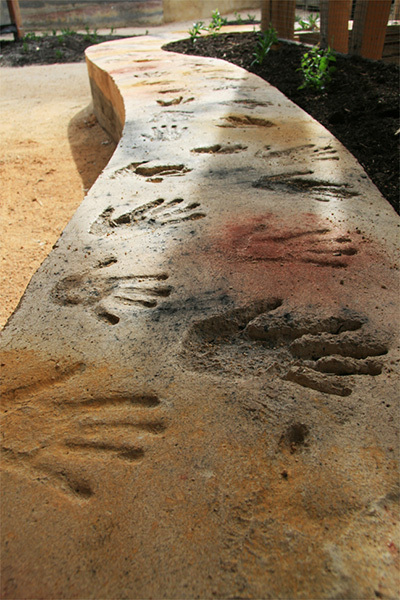 The outdoor classroom space consists of a group table and cooking facilities including a wood fire oven, partially covered by a weather proof sail. 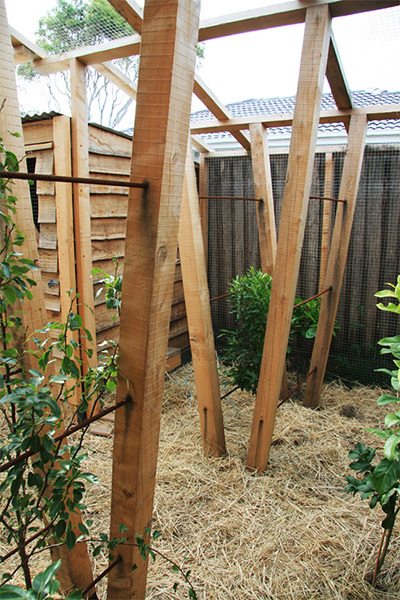 An integrated bike storage shelter further reinforces the connection between self-sufficiency, healthy eating and exercise.